Amid concerns in some quarters about the survivability of the BVI International Arbitration Centre, Premier Dr D Orlando Smith yesterday declared his administration’s full support for the Centre, adding that he is confident the British Virgin Islands (BVI) will become a successful arbitration jurisdiction. A few days ago, Chief Executive Officer of the Centre Francois Lassalle told journalists that the facility is yet to receive its first dispute since it opened its doors five months ago. He however noted that such situation is not unusual for starters in international arbitration. Premier Smith, who was addressing the territory’s second international arbitration conference yesterday, amplified the point that this is just the start of what he calls a great adventure. 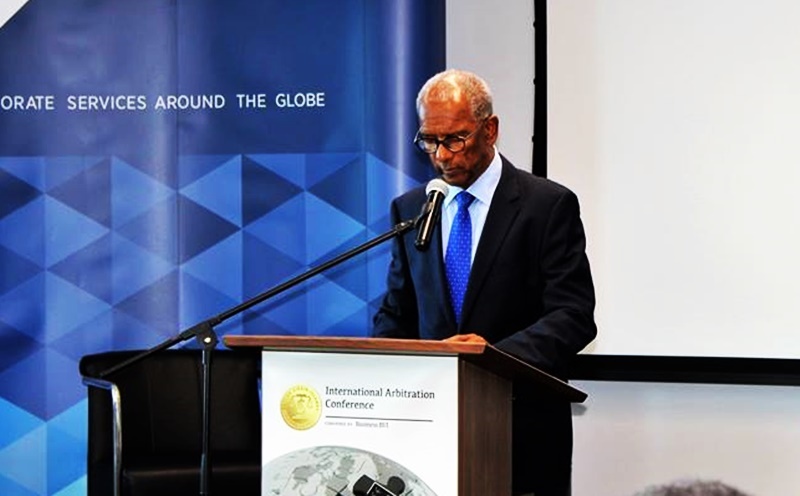 “We recognise and support the dynamic, fundamental synergy between the international arbitration sector and the international business sector, and I have no doubt that the BVI International Arbitration Centre will become a popular and much-used part of our territory’s international offering. This is the start of a great adventure and we will continue to work relentlessly to achieve our goals. Commitment, endurance, integrity and a clear vision is what make us different from the rest,” Premier Smith further told industry stakeholders. The premier, while noting some important arbitration milestones, said the BVI has come a long way. Premier Smith further stated that, to improve the territory’s lot as it relates to arbitration, his government remains committed to enhancing the court system as well as airlift into the territory. “You see, we are committed to taking the needed steps to diversify and strengthen our economy, and our commitment to facilitate the resolution of international disputes is unyielding. And, this includes review of our immigration and labour policies, and the resolution of our air access challenges,” Premier Smith further told stakeholders at the arbitration conference.